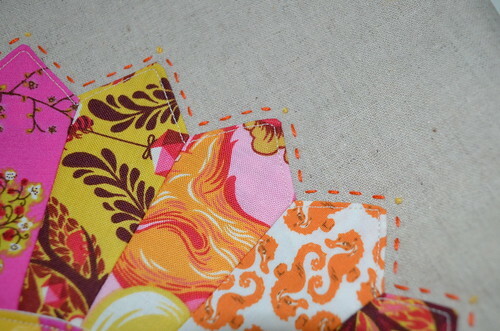 Last weekend I added an inset zippered pocket to the back, using my tutorial here. And, finally, last night I constructed the pouch and added a friendship bracelet-style zipper pull. I just have to gather/make a few goodies to put inside it before I get it in the mail tomorrow. I sure do hope my partner likes it! I really like how well the Heather Ross Mendocino played with Tula Pink's new line! I am linking up to the Handmade Parade today! 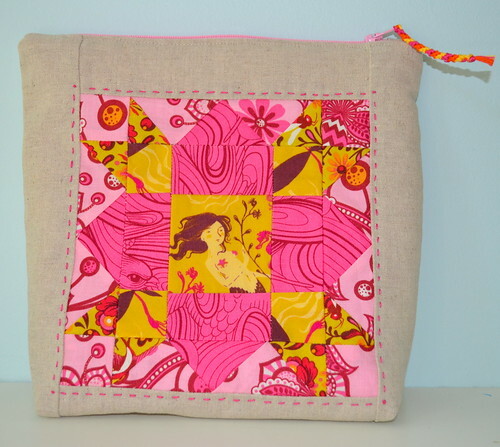 Stop by to check out some amazing handstitching. Very pretty! I am sure your partner will love it! How could she not love it? It's gorgeous! It is gorgeous and very special! I would be ecstatic if that came in the mail for me! It's so cute! Can you please make me one? You can give it to me next time I come to Charlotte! haha!!! 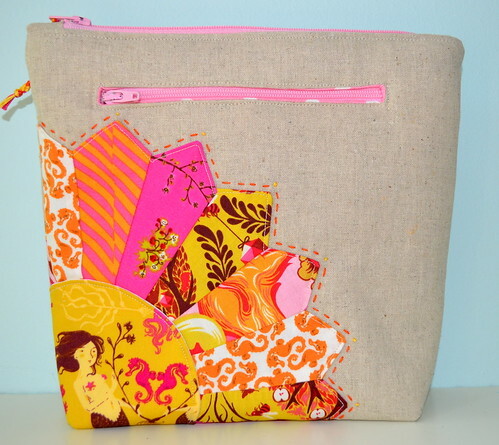 I love every little detail you put into this pouch! It is beautiful and so special! I don't know how you could stand to send it away! this is so beautiful :) love it!! Do you prewash linen before using it in pouches?? ?